The Sustainable Living Association of Bellvue, CO is hosting the 14th annual Sustainable Living Fair on September 14-15, 2013, in Fort Collins at Legacy Park. Keynote speakers include Joel Salatin, of Polyface Farms, and Larry Korn, Author & Educator. Joel Salatin is passionate supporter of small farms and local food systems, and has authored several books on farming with economic success. Joel speaks at 2pm on Sunday. Larry Korn is an educator and author with contributions in the fields of permaculture and local food production. Korn was a student of Masanobu Fukuoka, Japanese farmer and philosopher who authored The One-Straw Revolution and Sowing Seeds in the Desert. Korn helped translate and edit the English language translation of both books. Larry speaks at 12pm on Saturday. The Savvy Hen Urban Farm & Feed has organized the annual Tour de Coops for Sunday, August 25, 2013, from 2-5pm. 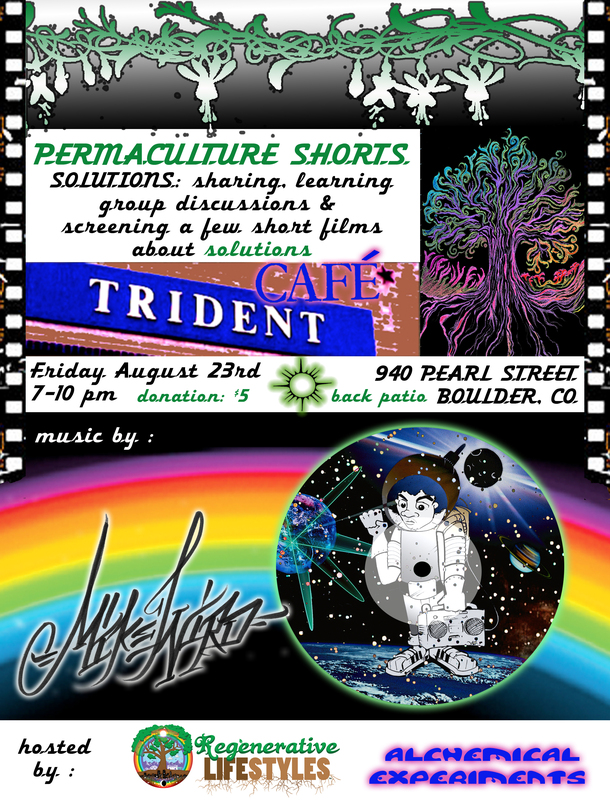 Join in for a tour of fellow Boulder residents’ urban chicken coops, beehives, gardens and goats. This is a fun tour with lots of opportunities for learning! Pick up a tour map at The Savvy Hen, 1908 Pearl St., Boulder, prior to the start of the tour. There will be festivities following at the store. For more information, visit the calendar on the Events page at The Savvy Hen. Register now for this year’s Convergence taking place September 28-29, 2013, at Central Rocky Mountain Permaculture Institute (CRMPI) in Basalt and Sustainable Settings in Carbondale. The keynote speaker is Brook LeVan of Sustainable Settings. Cost is $20 per day, $35 for the weekend. $30 per day for camping. Registration and more information on the event can be found at www.coloradopermaculture.com. On September 22, from 10am to 4pm, Boulder Green Streets hosts the fourth annual Ciclovia. Roadways within the city will be closed to car traffic and open to cyclists and walkers for a day of fun and play. There will be a number of free events for participants along the route. 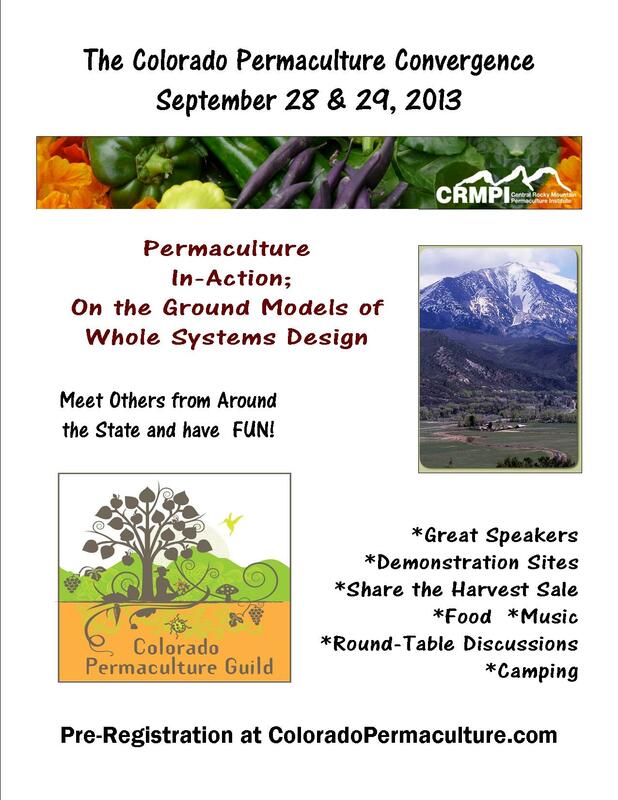 Denver Permaculture Design Course Registration is still open. Classes are a one weekend a month format, starting in October, 2013 and continuing through March, 2013. The course covers the standard 72-hour curriculum, plus more. Instructors include Adam Brock, co-founder and Director of Operations at The GrowHaus, and Jason Gerhardt, founder of Real Earth Design. Adam, the lead instructor, was recently featured at the TEDxMileHigh Conference in Denver. From The GrowHaus: “The market will be available to provide fresh fruits and vegetables on a daily basis to our community members here in Elyria-Swansea. This is a step forward in our overall mission to fixing a broken food system. 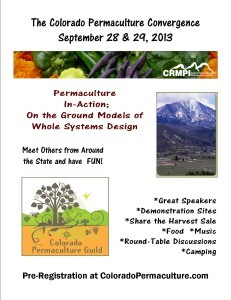 “We are thrilled to announce that the 2013 Colorado Permaculture Convergence will be at the Central Rocky Mountain Permaculture Institute (CRMPI) in Basalt, CO. We will be touring local sites including CRMPI and Sustainable Settings, hearing from an amazing panel of speakers and getting tons of time to unwind, camp and network with permaculturists from all over Colorado. This is going to be an outstanding weekend so please save the date. We will begin pre-registration very shortly and will have more information available as we make plans. Thanks for everyone’s undying support of this incredible annual event! It’s truly one of the highlights of the year.